Give a classic gift, with this sophisticated sterling silver signet ring. A radiant diamond in a star setting for a luxurious finish. 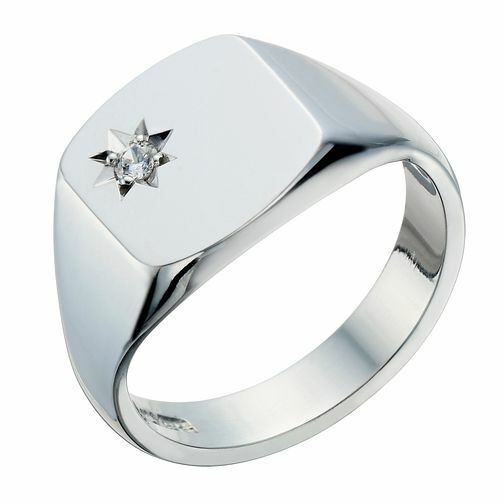 Sterling Silver Diamond Set Signet Ring is rated 5.0 out of 5 by 1. Rated 5 out of 5 by Anonymous from Great looking ring and reasonably priced. The ring looks and feels good on your finger. Price is reasonable.